This entry was posted in News on November 14, 2017 . Warm fall weather is starting to become a memory, and now our minds are turning to cold temperatures that winter time brings. Here in Nova Scotia, the transportation minister is reminding motorists to be ready for whatever curve ball winter throws you. 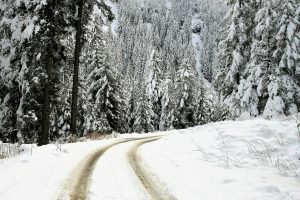 Hines encourages motorists to drive to conditions, and be safer through the winter months in the province. In particular, Hines wants people to ensure their winter tires are in good condition before they are installed on automobiles.